Page last updated June 28 2016. As of now there have been 2 shark attacks in North Carolina in 2016. I will keep this page updated as more bites occur. I do hope that the list is small this year. Below are the bites of 2016. June 11, 2016 – Atlantic Beach, NC (Article) – This attack was on an 18yr old male who was in waist deep water around 2:30PM. This was the first reported shark attack in North Carolina of 2016. June 25, 2016 – Atlantic Beach, NC (Article) – This attack in particular took place near Fort Macon State Park. The 11yr old boy was bitten on his foot around 2:30PM. Believe it or not the coastal areas of NC are generally very safe. Discovery cites mistaken identity. Other myths are outlined in my 2015 shark bite article. Why do I make this shark attack timeline? This is primarily a marketing blog but I also cover events in North Carolina. I frequent many areas of the coast of North Carolina from Oak Island to Surf City to the OBX / Rodanthe. I also fish and swim all along the outer banks. I also create lots of unique content. So, why not? Looking back at my 2015 shark bite timeline I can see that June 11, 2015 was the first bite of the 2015 season. It is interesting to see that the first bite of 2016 was 365 days after the first bite of 2015. Hi, i was wondering if sharks get full, because there was a shark attack the morning i went to the beach but none of the eight people got bit and we were there at feeding time and we were out pretty far… thanks! 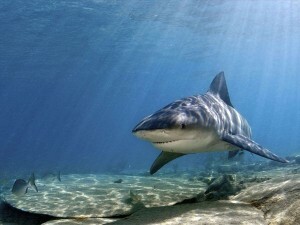 With warmer water temperatures it appears that there will be shark bites in North Carolina again this year. Of course, there are a million other factors that I am not aware of. Sharks probably do get full, but not from biting kids at the beach. When they bite, they usually just bite and leave without getting anything to eat at all. They basically bite to see if it is something they want to eat. I should point out that the chances of getting bit by a shark bite are 1 in 11.5 million. In other words, you are more likely to get bit by a dog. I’m sure those chances have changed, but it is still very rare. There are lots of different types of shark in the waters of North Carolina at any given time; they don’t WANT to bite people- they are mostly after smaller fish. In my opinion, they are making a mistake when they bite people, thinking that people’s hands and feet are fish. There are just more sharks due to higher water temperatures, which increases the number of bites. Shark like water which is over 70. As for feeding time- I think any time is feeding time! I’d still rather get bit by a dog. Also there are times when attacks will be more likely. Early morning and dusk is my understanding. Also when you see pelicans diving into the water, dolphins, and other fish eating creatures there is a school of fish and with schools of fish there are usually sharks. As you said, warmer water. No matter what the odds are of getting attacked maybe you should speak to someone who got attacked and see what they think of the odds. You can’t live without risk but I was in Duck NC in June of 2016 and I skipped swimming. I didn’t actually see that many people swimming either. A dip in the ocean is just not worth that much to me. Nope, fortunately we are completely up to date. As of July 19 2016 there have only been the 2 bites.